How cute is this bag? 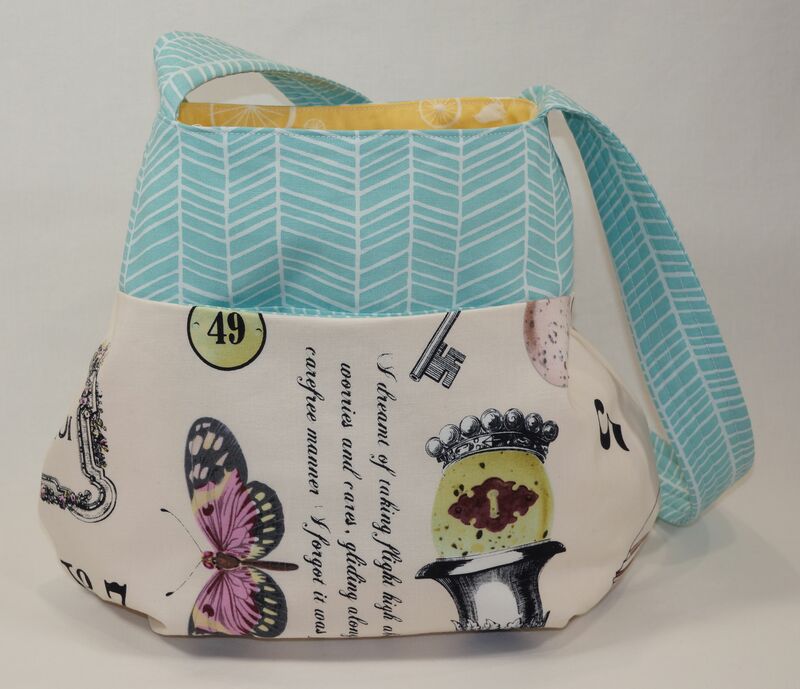 It’s listed in Keyka Lou’s patterns being retired on sale! 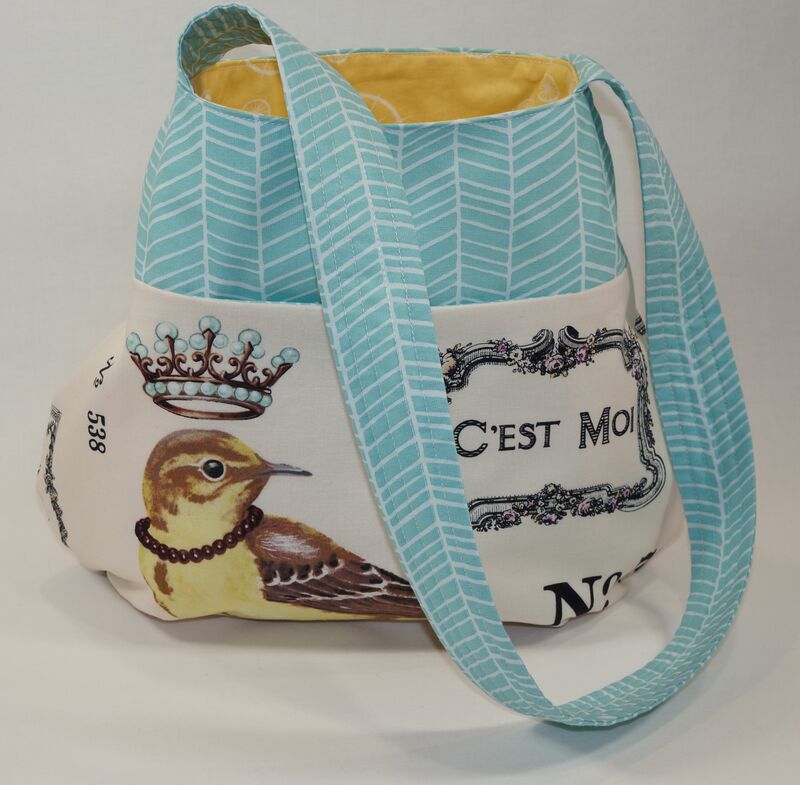 The bird fabric is one of my favorites, I made a pillow for my sister with it and I love it on this shoulder bag. I also used Joel Dewberry’s Herringbone in pond, its a perfect match for the bird’s crown jewels. There are 4 hidden pockets on this bag, two on the outside and two inside. For the interior I used Jay-Cyn Designs’ Organic, Birdie Spokes and Dottie in Sun. Instead of using the recommended fusible interfacing, I used white cotton which gives it a softer feel. This bag could potentially be reversible. Currently available in my Etsy Shop. This entry was posted in Bending Pins on Etsy, Finished Objects by Tabatha. Bookmark the permalink. LOVE the bag, Tabatha! Beautiful! Wow you’re on a bag making roll. It’s lovely and the the bird fabric is beautiful. Seeing your comment above don’t you find that sometimes it’s all the preparations that take the most time? I find bags quick and easy to make, part of the whole instant gratification thing when the majority of your waking hours are spent doing things you don’t want to do. ;D I agree, preparation is probably 75% of making anything! Whoever thought of precuts is brilliant!! Beautiful bag! I’m a huge fan of that herringbone print! Thanks Heidi! I will rue the day that Joel Dewberry herringbone print is discontinued. I’ll have to stock up!! Love both the new bags. Beautiful! The bird fabric is stunning. Thanks Hasmi, I love the print is called Wing Study, I love it too! p.s., do you have a blog?? 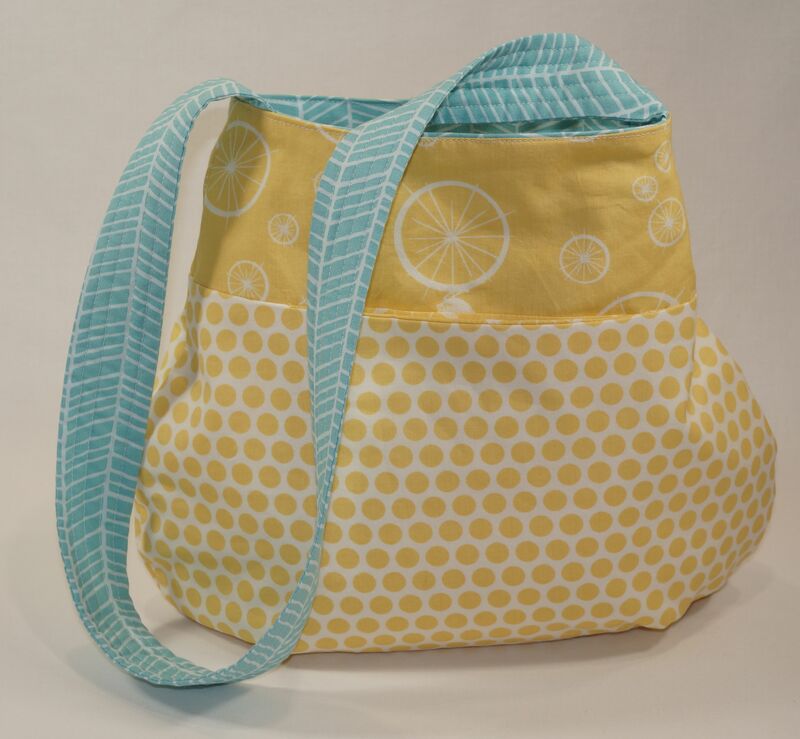 That is a cute shaped bag – and I love the fabric! Looks great! I also like the bird fabric and I think the herringbone compliments it perfectly. Thanks for your kind comments Beth! I just had a peek at your blog, I love your style!